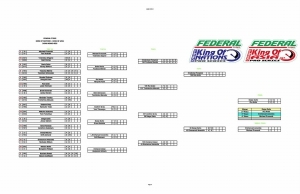 Federal Tyres King of Nations headed to Nikko Circuit for Round 5 of the Championship, and also to conclude the 2016 Federal Tyres King of Asia Championship. With double points at stake in the King of Asia Championship, the competition was fiercer than ever! Drivers once again flocked from around the World to attend the series and earn vital points as the Championship reaches the closing stages. 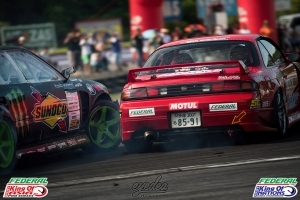 This time they would also have the opportunity to impress the Drift King, judge Keiichi Tsuchiya, on his home turf. Series leader in both the King of Nations and King of Asia Series, Michael Prosenik would once again prove that he deserves the spot at the top of both rankings during qualifying. Despite huge downpours taking place throughout the Saturday, it didn’t stop him launching the highest attack speed of the day with 124km/h into the tricky first corner of Nikko Circuit. Local driver Kentaro Kawai would also impress the judges, collecting 88.42 points for 2nd place and also taking the second highest attack speed - just 2km/h behind Prosenik at 122km/h. After qualifying in 3rd place at the previous round in Ebisu, Andrew Gray’s consistency would once again earn him the same position with 87.41 points. French driver Nicolas Delorme took the opportunity to grab more vital points in both Championships by taking 4th place. 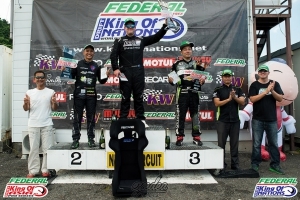 New Zealander Drew Donovan would take 5th place and fresh off his 2nd place finish at Ebisu - Daigo Saito would take 6th. As drivers headed to practice on the Sunday, the sun was beating down on the track which was drying away the standing water which had remained on the track from Qualifiying day's rain-season antics. 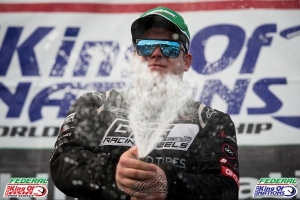 With the new found grip for the drivers and nearly 40-degree sun scorching the track, the game had completely changed in time for the Top 32 battles. The first casualty as drivers went head-to-head would be French driver Nicolas Delorme, who unexpectedly made a rare mistake in his lead run handing Hiroyui Kani a 10-0 lead. Despite pushing as hard as he could in the chase run, his score of 6-4 wasn’t enough to proceed. 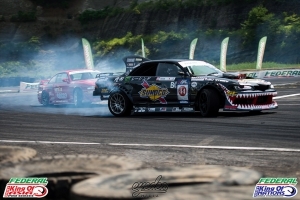 After taking 3rd place overall at Ebisu, Shinji Minowa lost 6-4 in his initial battle. 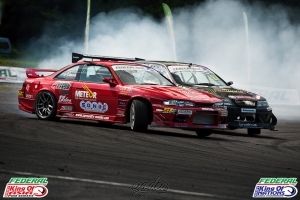 After pushing too hard on his chase run against Drift Zamurai in attempt to make up the points, a collision allowed Drift Zamurai to proceed to the Top 16. As we headed to the Top 16, Prosenik would continue his fine form allowing him to advance into the Top 8. New Zealander Drew Donovan wouldn’t be so fortunate in his battle against Toshimisu Masuda, as he once again proved just how strong the local talent was. 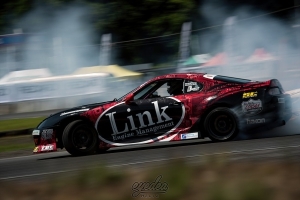 Drift Zamurai would go up against Emmanuel Amandio, but with Amandio fresh off of his win at Ebisu he wasn’t willing to let Zamurai proceed as he ended his impressive run throughout the weekend. As we advanced to the Top 8, series leader Prosenik found himself up against Tsubasa Maeda. After an equal initial battle, the judges decided that a one-more-time would be required. After the one-more-time, the judges were still unable to find a winner. This meant that it would then go into sudden death, where Prosenik edged past with a 6-4 win. 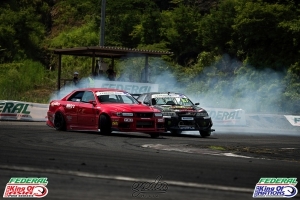 Rui Ando would face Toshimitsu Masuda in a battle between two extremely impressive local drivers. In the initial run, a 7-3 advantage was given to Ando after a correction from Masuda. 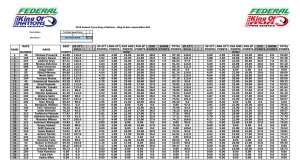 In the following run a 5-5 draw would allow Ando to progress to the Top 4. Andrew Gray would find himself up against Ebisu finalist Daigo Saito. 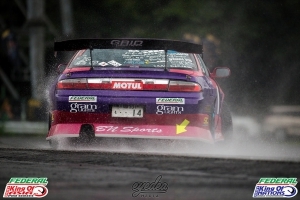 Saito would take the advantage in both battles to allow him his space in the Top 4. 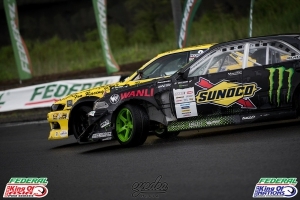 Kentaro Kawai faced Ebisu winner Emmanuel Amandio, but with Amandio taking the advantage in his chase run, followed by an equal scoring in the second run, Amandio would once again book his place in the Top 4. After his long battle with Maeda, series leader Prosenik’s car suffered its first major mechanical issue of the season. Despite his team using the time allowance to attempt to fix the car, a bottom-end failure would mean that Prosenik would be unable to make it to the starting line - handing Rui Ando his place in the Final. 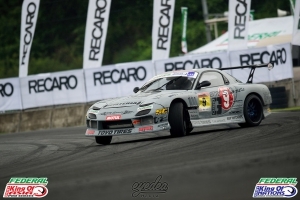 In a repeat of the match-up which was the Final in the previous week at Ebisu, Daigo Saito and Emmanuel Amandio would once again find themselves head-to-head. After leading 6-4 in his lead run, Daigo Saito was doing his best to stop Amandio beating him again. Amandio would push too hard trying to make up the points in the chase run, handing a 10-0 score to Saito. With Prosenik’s car unable to make it to the start-line for the Small Final, Emmanuel Amandio would take his 2nd podium finish in two weeks with 3rd place. In the main final, Daigo Saito would go up against Rui Ando in a David vs Goliath style battle. After an incredibly close initial run finishing 5-5, Daigo would use his chase run to place his 1000bhp JZX100 on Ando’s door throughout the track. Leaving Keiichi Tsuchiya to congratulate him on his first win in the 2016 King of Nations and Asia series. Despite his unfortunate early exit in the Top 4, Michael Prosenik’s incredible consistency throughout the King of Asia series enabled him to take the 2016 crown with an impressive 532 points over 4 events. He also remains top of the King of Nations leaderboard as we head towards the final round with double points up for grabs in Brazil. 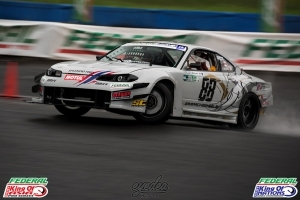 After also attending all 4 events, Emmanuel Amandio would take 2nd place with 445 points, after starting the series with just 300bhp, and having 1000bhp at his disposal throughout the Japanese events. 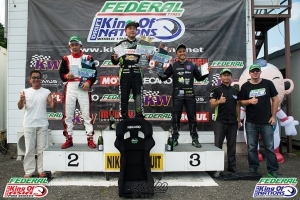 Japanese driver Daigo Saito took 3rd place on the overall podium after impressive qualifying runs and also taking the top two spots of the podium in both rounds which he attended. Next up for the Federal Tyres King of Nations series will be an Exhibition match at Greinbach, Austria on 22nd/23rd July. After that shall be the Final round, which will also be the first ever round to be held in Sudamérica at the incredible downhill track at Mega Space in Belo Horizonte, Brazil. With double points up for grabs in the Final, expect to see a thrilling encounter as the series best drivers go head-to-head to be crowed the first ever King of Nations in October!